Odds today were for the CL and NQ futures, I tweeted these out in the morning but did not have the time to place trades like I normally do. NQ: High chance of a gap fill, and if we break previous day’s low, stats were suggesting an early morning fade and an afternoon buy the dip. While the NQ didn’t quite close back above the lows, the bounce was large enough to produce profits. The gap filled worked out fine. CL: CL had a good chance of closing above the open. After a slow grind lower, CL put in an afternoon bottom to make new intraday highs by the close. Stats for crude oil was bullish today. There was an overwhelming chance of closing above the open AND closing above previous close (close green on the day). 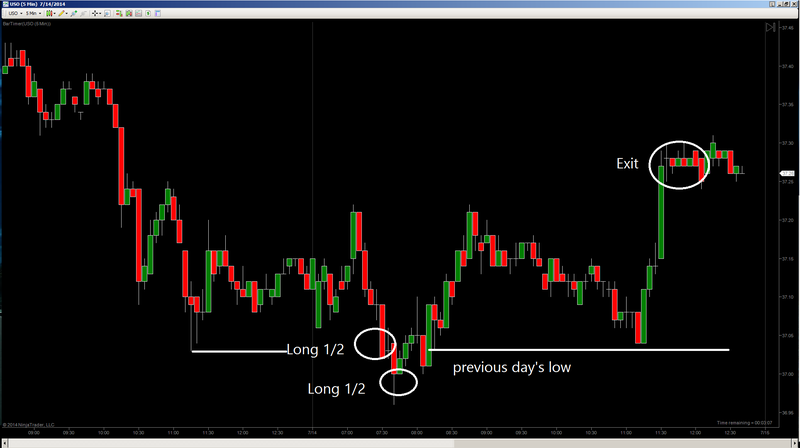 I waited for a pullback and scaled in long using the USO ETF while using CL futures as a price action guide. The stats for the day worked out pretty much immediately. 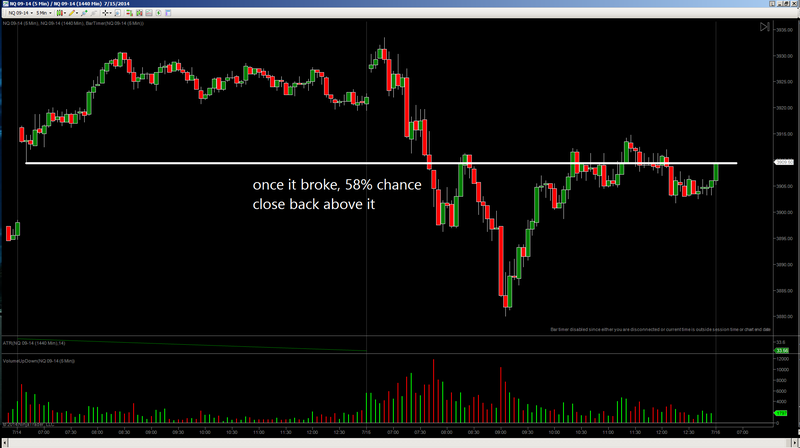 I held until CL close and exited for a nice profit.